It’s mid-December already, and I haven’t posted any news so far on account of being in Hanoi for the first couple of weeks, and then falling majorly sick after returning. So rather than trying to catch up with three week’s worth of archaeology news from Southeast Asia, here’s all of them in one brilliant link dump, sorted by date (most recent ones first) and country. In this second part of the Ancient Script of Southeast Asia (click here for part 1), we’ll explore two more exhibits from the Aksara: The Passage of Malay Scripts exhibition at the National Library of Singapore. These two pieces are from Terengganu in Malaysia, and Java in Indonesia. The first exhibit, the Terengganu Scripted Stone, stands at the mouth entrance between the Sacred Writings gallery and the Islamic gallery. Anyone who’s visited the Terengannu State Museum (where the original sits) or the National History Museum in Kuala Lumpur would instantly recognise this Terengganu Stone. I hear it also features in the Malaysian history textbooks as well. I was surprised that these “venetian blinds” were not mentioned in the exhibition guidebook. While they may look like a set of ancient venetian blinds, they are actually a collected set of palm leaves on which a Balinese script is written. This is the Pararaton, or the Javanese Book of Kings, which is on loan from the National Library of Indonesia. Given that the Pararaton was written in palm leaves, I was surprised to see a copy in such good condition. Here’s a closer look at the Pararaton and the Balinese script. As one can guess from the name, the Javanese Book of Kings describes the events during the rule of the kings of the Singosari kngdom and Majapahit Empire which was centred in Java. Although the date of this particular copy is unknown, the Pararaton was first written at the end of the 15th century. Like its Malay counterpart the Sejarah Melayu (the Malay Annals), the Pararaton is a mix of myth, legend and historical events, which make some of its contents suspect when using it as a source for historical events. Unlike the Malay Annals, the Pararaton is made more difficult to read accurately because the record of kings and nobility mentioned in it are referred to by title rather than name! 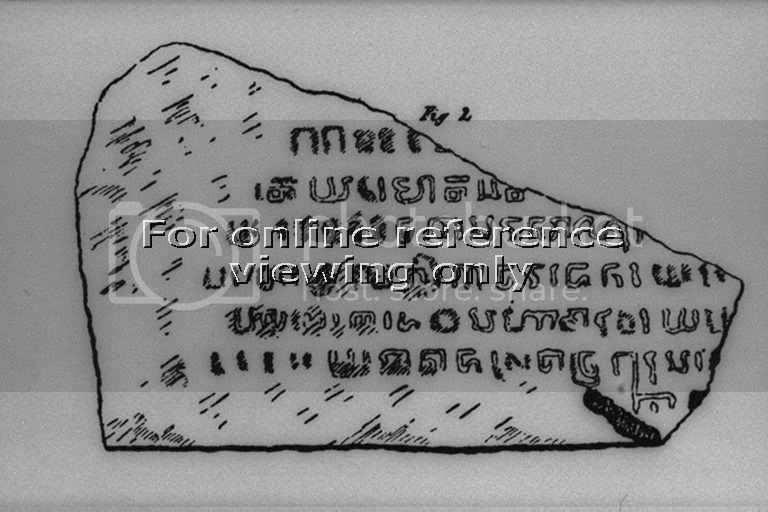 Strangely enough, the Aksara exhibition did not feature the only ancient inscription from Singapore: the Singapore Stone. The Singapore Stone is a sad page from the local book of archaeology: this inscribed boulder once stood at the mouth of the Singapore River and may have potentially been the very same stone mentioned in the Malay Annals, but early in Singapore’s modern history, the British decided to blow up the stone in order to widen the mouth of the Singapore river. Only fragments of the stone remain, one of which is exhibited in the permanent collection of the National Museum of Singapre and to this date remains undeciphered. SEAArch would like to thank the National Library Board, Singapore for the permission to take photographs in this exhibition. In the second part of his visit to Kuala Lumpur, Howsy writes about his visit to the National History Museum (Muzium Sejarah Nasional) – not to be confused with the National Museum (Muzium Negara) which in a stroke of perfect timing is going to be closed for renovations for most part of Visit Malaysia Year 2007. I’ve visited the National History Museum before, and it’s a surprisingly good museum with a narrative that takes you all the way from the prehistoric to modern period. Much of the pre- and proto- historic material is located in the ground floor of the museum, including stone tools, reproductions of monoliths, and the Terengganu Scripted Stone, which is the earliest record of Islamic influence in the country. Howsy’s account is full of pictures of the interior of the museum, but I must say that it’s worth a visit by itself. 19 March 2007 (New Straits Times’ Travel Times) – An interesting piece about the ancient history of the Malaysian state of Terengganu, from neolithic burials, to the port city of Fo-Lo-Ann during the classical period, to the more recent Islamic finds. It’s a place that few people will notice. It does not arouse any excitement, unlike Tasik Kenyir located 35km away. Yet, centuries ago, the district of Kuala Berang was one of the busiest ports in Terengganu where traders from as far as China came to trade and to replenish their supply of food and fresh water. Back then (12th-14th Century), the Chinese called the place Fo-Lo-Ann. The locals, however, named it Kuala Berang after the bamboo species known as buluh berang that grew wildly along the banks of Sungai Terengganu and Sungai Berang. According to records at the Terengganu State Museum, a Chinese historian, Chan Ju Kau, wrote that Kuala Berang was once a very busy port with traders buying local goods like kayu cendawan (candan), elephant tusks and scented kayu gaharu for export to China, the Middle East and West Asia. 15 December 2006 (Bernama) – Just in case you’e not familiar with the geography, Terengganu is a state in (peninsular) Malaysia, and Jakarta is the capital of Indonesia. The Terengganu Scripted Stone 1903, the artefact that shows the advent of Islam to the Peninsula, is one of the archeological artefacts which will be exhibited during the Titian Budaya Malaysia-Indonesia exhibition from Dec 16 to 18 here. Museum Department Director-General Datuk Dr Adi Taha said, the scripted stone would be exhibited at a special exhibition organised by the department at the main lobby of the Jakarta Convention Centre (JCC) in conjunction with the Titian Budaya programme there. “We shall also exhibit the Avalokiteswara Buddha (the Buddha with eight arms) and the Aceh Tombstone, he told Bernama at the programme’s Secretariat office here.